Hiring camera crew can be expensive. And if you’re not a production expert, choosing the cameraman with the right skills is difficult to evaluate. 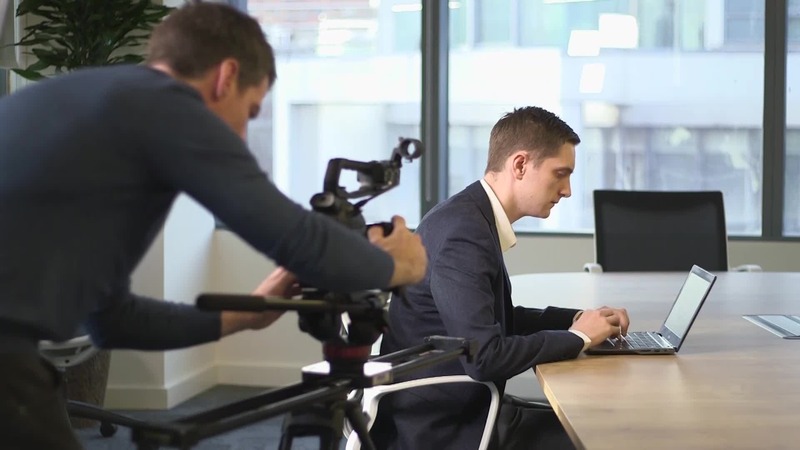 If you’re looking for a long-term videographer for hire to join your marketing or communications team, we’ll work with you to identify the right person and talent to fit your organisation. They’ll be available on short and long-term contract and backed by our in-house team. So they’ll always have an expert or director on-hand to provide guidance for more complex productions. You’ll also have access and preferential rates for our post-production team, allowing you to produce and turnaround content quickly and efficiently. You can hire a video professional for one-month for under £200 per day, so there really isn’t a more cost-effective and flexible solution to grow your video content. I have been really impressed by the professionalism and the creativity shown by Talking Edge. In my experience, it's rare to find that combination but with Talking Edge they possess both in abundance. A pleasure to work with and very convenient being based in central London. Talking Edge Studios was a joy to work with. As a US-based company needing a case study video of a UK-based customer, Talking Edge Studios handled the entire project for us efficiently and effectively. Talking Edge managed everything from communication to interviewing to on-site visits and B-roll footage, to editing and compiling the final product. We were thrilled with the outcome and would happily recommend Talking Edge to any company needing an end-to-end production team for a case study video. I am very happy to endorse Toby and his team at Talking Edge Studios. They filmed a short video for our £17M MK:Smart project – www.mk:smart.org, and it was a real pleasure to work with them. They were able to take on board our ideas and requirements, refine them when appropriate, and deliver a high-quality result, which has been very well received by both our sponsors and partner organizations. I recommend them wholeheartedly and with no hesitation.